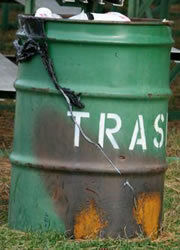 The Trash Can Be Beautiful program transforms ordinary municipal trash barrels into works of art. 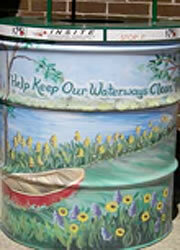 It provides an opportunity for volunteers to put their own creative stamp on a public trash barrel, while helping to reduce litter. In the town of Mansfield, MA, Keep Mansfield Beautiful coordinated with volunteers and the Mansfield Department of Public Works to create 35 decorative barrels that now adorn the town’s sidewalks and parks. 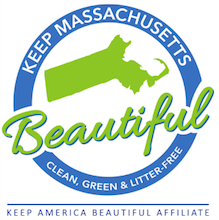 Learn more about Mansfield’s Trash Can Be Beautiful program.